Utah County Sheriff’s Sgt. Spencer Cannon said London DeDios, 4, went into the water near Bridal Veil Falls at around 3 p.m. The child’s mother and four other adults jumped in to rescue the girl, Cannon said. Three adults were able to get themselves out of the river, but London’s mother and another man had to be pulled from the water. Rescuers worked to resuscitate the woman and man but were unable to do so. They died a short time later, Cannon said. 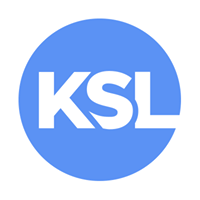 Written by JORDAN ORMOND, KSL News.com.